to help you determine what type of transfer is best for your needs. for their personal and business transfers. Transfer videotapes to digital files or DVDs. Preserve your family videotapes before your tapes go bad. Videotape Formats we transfer: VHS, VHS-C, 8mm, Hi-8, Digital 8, Mini DV, HDV, Betamax, 3/4" Umatic, Betacam SP, Digital Betacam The digial file format we generally transfer to is mp4, which is good for viewing on most Mac and Windows computers, for consumer editing, and for uploading to YouTube. We can also transfer to quicktime files (larger files), which are primairly for those using professional editing software. Transfer your priceless home movies (8mm, Super 8mm and 16mm film) to DVD or digital files. Transfer photos and sildes to digital files (jpg). 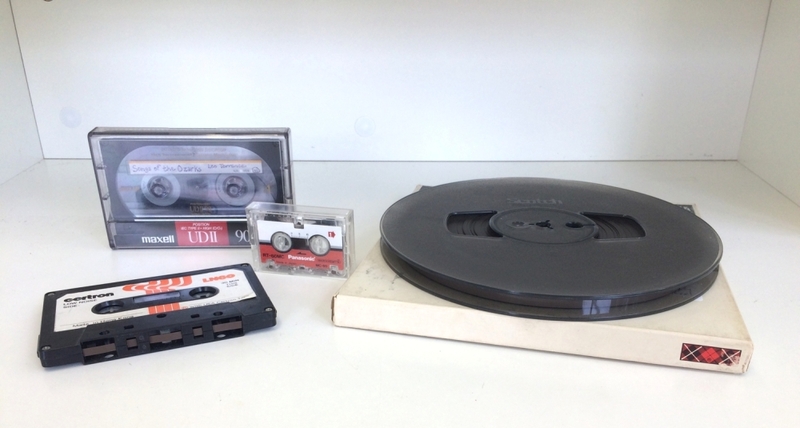 Transfer audio cassettes, microcassettes, & audio reels to digital files or CD.